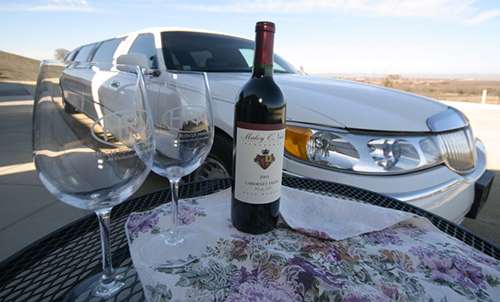 Looking for an exotic limousine for wine tour transportation? NJ Limo offers wide arrays of diverse fleet for your wine tour transfer in New Jersey and New York City. Our stunning, traditional stretch limousines can be a popular choice among the locals and out of the town customers visiting New Jersey and New York City wine country. NJ Limo offers flexible travel packages when planning for touring to the best wineries of New Jersey. Our exclusive limousine will be driven by the experienced, knowledgeable chauffeurs. Make your own list of wineries to visit or ask our specialists to plan your customized wine tour. No matter what, you will enjoy our tailor-made wine tour packages with the ultimate luxury and comfort of NJ Limo. Our knowledgeable team has been offering a specialized blend of exotic limousines, party buses and other travel choices at extremely affordable prices. Whether you want to hire our SUV, stretch limousines or party buses, each and every fleet of vehicles can make your wine tour more enjoyable. If you are going to a winery for the first time, then don’t worry as our qualified, local chauffeur can ride with you in a stunning limousine. Our unique and custom made wine tour packages will offer you a chance to enjoy a delightful ride with your close buddies. Rest assured that, you will get peace of mind while going on a wine tour in New Jersey and New York City. We will ride to the winery of your choice and let you have an opportunity to taste the authentic wines from the vineyards. Celebrate the wine tasting of New Jersey’s vineyards by enjoying a memorable wine tour limousine of NJ Limo. Contact us today and book your favourite limousine of choice!